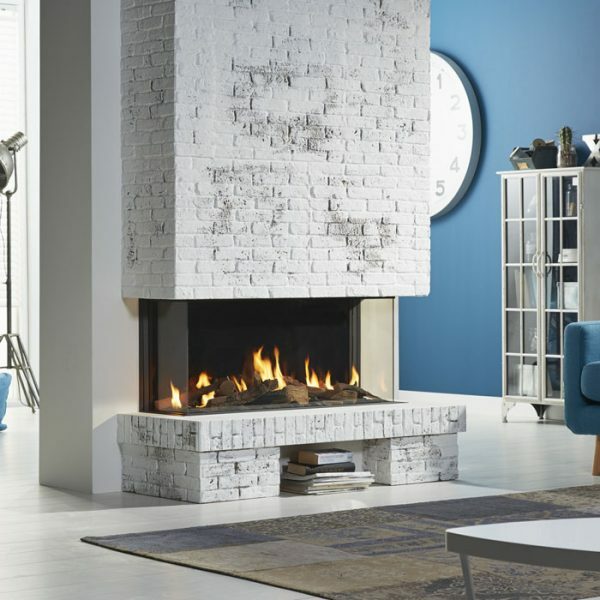 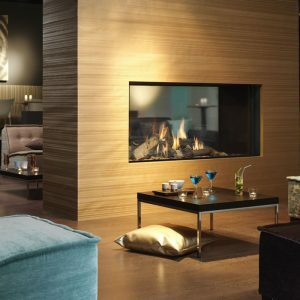 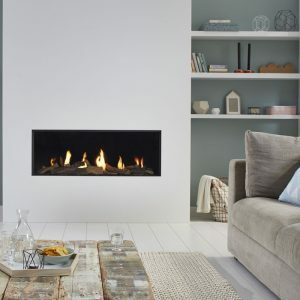 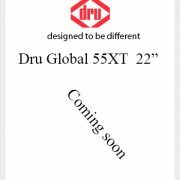 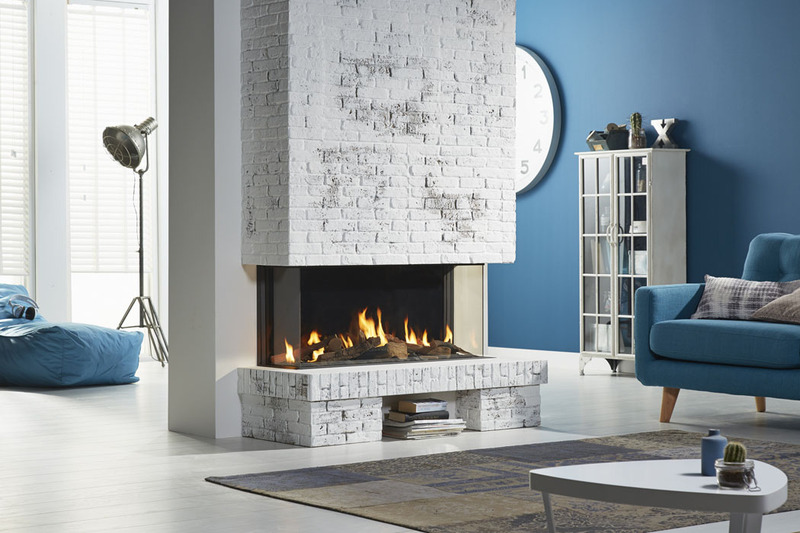 The Global 100 BF Triple is a modern classic 1-metre wide gas fire with a 3-sided window that can be viewed from different locations in your living space. 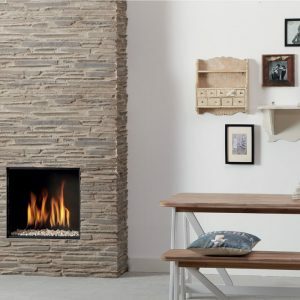 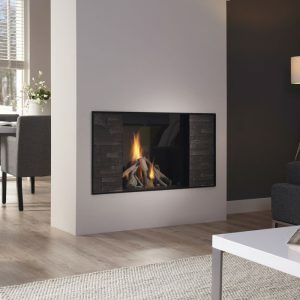 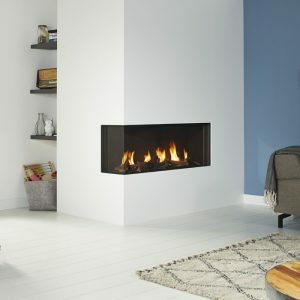 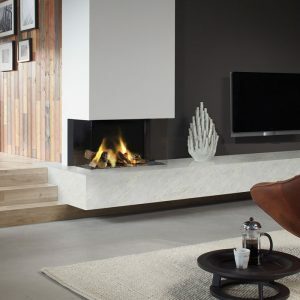 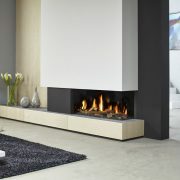 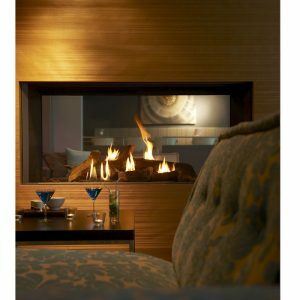 It has stone, log or anthracite glass fire displays and energy efficiency of 88%. 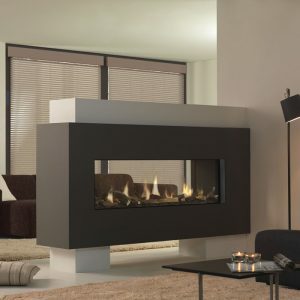 The interiors are available in a choice of black or mirrored Ceraglass, and the unit has a generous 7.5 kW heat output ideal for medium to large living areas. 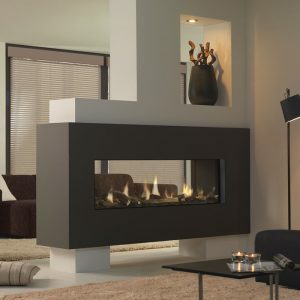 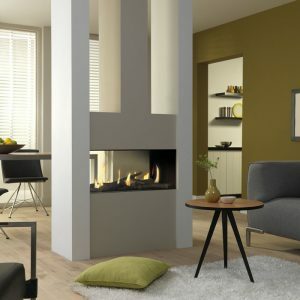 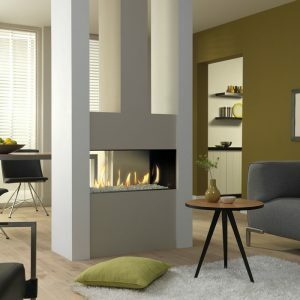 The fire is operated by remote control and is compatible with Powervents.